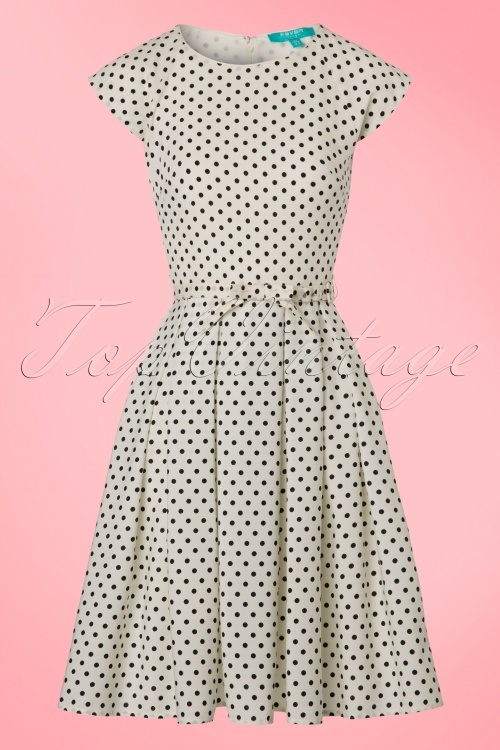 A true vintage romance this 50s Mary Dots Prom Dress! 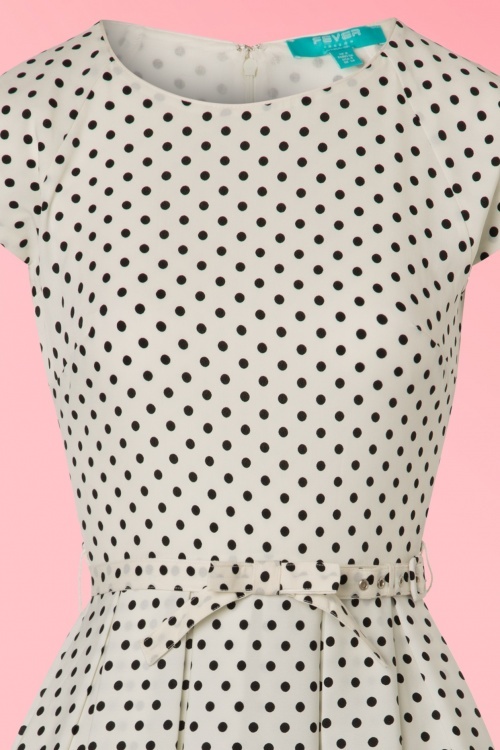 This beauty is inspired by the classic prom-dresses from the fifties with her classy round neckline, box pleats and cute bow belt! Made from a flowy and breezy, ivory white fabric (doesn't stretch!) 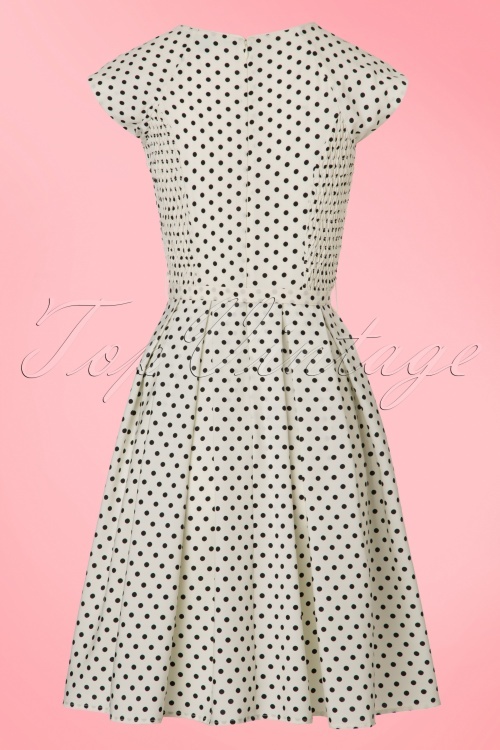 featuring a playful polkadot print and is fully lined for a perfect fit. 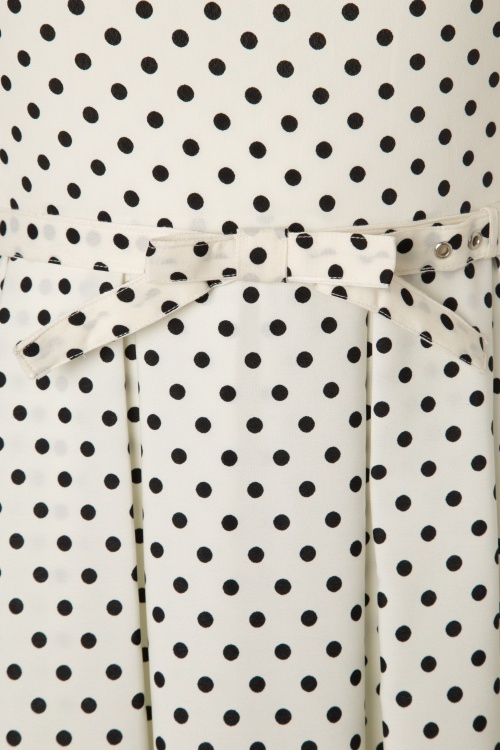 The perfect dress to wear to a high-tea with your girls or a summer party, LOVE! 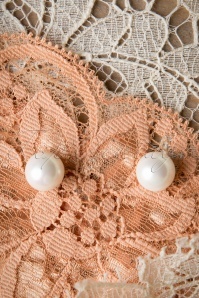 Feel like a princess ! Met deze jurk aan voel ik mij net Kate Middleton :) Alleen de schmock voelt een beetje warm aan op een warme zomerdag maar verder een fijn jurkje om uit te waaien.